Whoa! Looks like Salman Khan has decided to deviate from his lucky Eid release slot for Dabangg 3. The film, which is expected to go on floor in December this year, will mark the return of the onscreen couple, Salman Khan and Sonakshi Sinha in their respective roles as cop Chulbul Pandey and his wife Rajjo. And now latest update on that front is that the release date for Dabangg 3 has been locked as Christmas 2019. Interestingly, Dabangg 2, that released six years ago, also released during Christmas in 2012. On the other hand, the first part of this Chulbul Pandey series however had hit the big screens in September. Coming to the third instalment of Dabangg, it was recently announced by the film’s lead actors Salman Khan and Sonakshi Sinha who shared about the news on social media. They also posted pictures which marked their reunion along with the team of Dabangg which included actor-filmmaker Mahesh Manjrekar, who played the role of Sonakshi’s father in the film and music director duo Sajid-Wajid. If earlier reports were to be believed, Dabangg 3 is expected to be directed by Prabhu Dheva, who is new to the franchise. Sources close to the development have stated in reports that by the end of this year, Salman Khan will start work on the film, even though he will also be shooting for Bharat. It seems that the actor will shoot for Dabangg as well as the Ali Abbas Zafar film simultaneously. The makers are keen on wrapping up the cop action drama by March reportedly and only after that will Salman start looking into other projects in the pipeline. 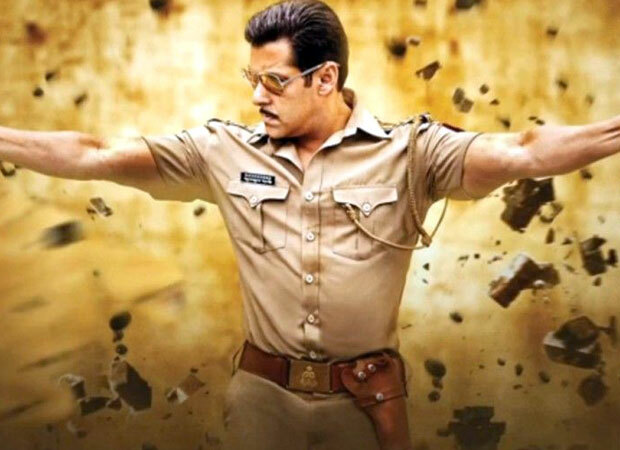 Produced by Arbaaz Khan Productions, Dabangg 3 is yet to receive a release date. We also hear that the film will be a spin off sorts which will give the fans of the franchise a sneak peek into the early life of Chulbul Pandey before he became Robinhood Pandey.